A virtual server allows you to configure your needs to suit your requirements whilst still sharing space on one of our servers. Now you can customise your server to suit your needs whilst keeping costs affordable. 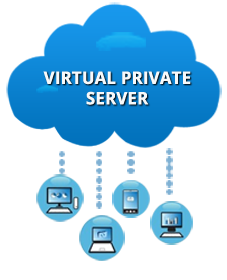 Virtual Private Servers with easy to use control panel customized to your business requirements. VPS offers you the much needed flexibility allowing server configuration according to specific business needs. Create test environments and host high traffic websites without any hassle. You are never short of bandwidth while creating multiple email accounts and users. Get your business online without any technical knowledge with our easy to use control panel. At Complete Cloud we ensure your website is up and running as quick as possible. Dependable and super-fast virtual hosting with 30 day Money back guarantee. Rest assured of fast page uploads with our Virtual servers. Complete Cloud with its Australia based data centres provides high performance and 99.9 % network uptime speeds. Complete Cloud does not charge you any setup fee. There are no hidden costs and you pay accordingly to your chosen monthly web hosting plan. Complete Cloud offers unmatched localized support to customers. Get in touch with our experts round the clock over email, phone and chat for solutions to any of your hosting and server management queries. Complete Cloud provides you with premium web hosting services. Our top class, next generation servers ensure high levels of scalability, speed, reliability and security.